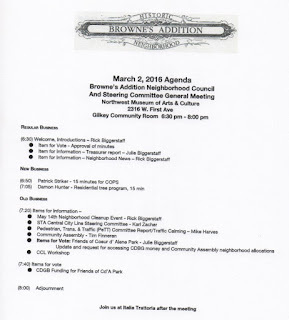 It's time to remind you all that your Neighborhood Council will meet this Wednesday, March 2nd, at 6:30pm. Join us downstairs at the Northwest Museum of Arts and Culture as we chat up things like the Residential Tree Program, Neighborhood Clean up, and the Spokane COPS program. 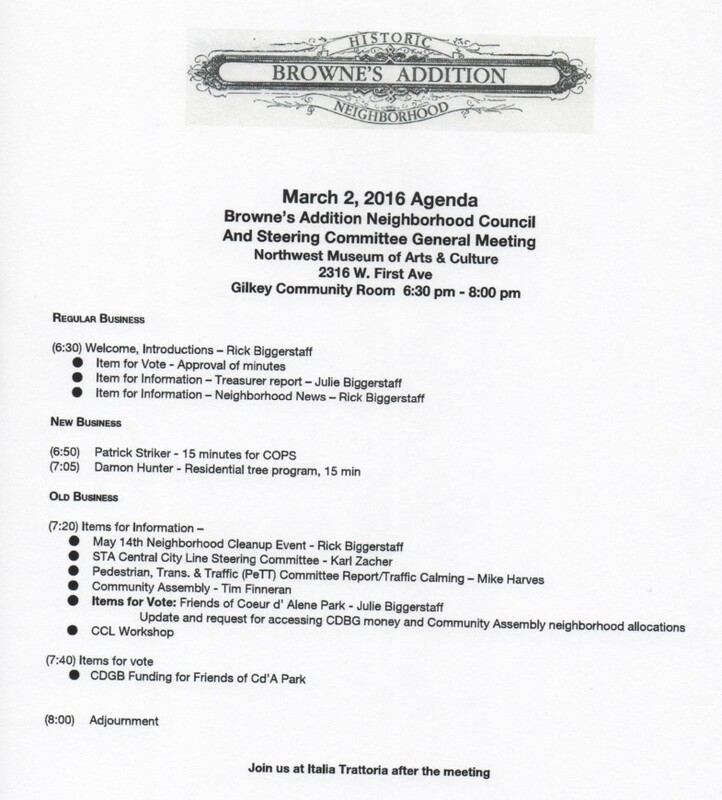 We will be voting on two items concerning the Park, so if you are a voting member, be sure to be there!